A team of police men in about four trucks at about 10am trailed accredited journalists covering the PDP Vice Presidential candidate, Mr. Peter Obi’s voting, stopped and threatened to shoot them. The policemen who acted in a commando style stopped the journalists who were in a hired mini bus, took away their car key leaving them stranded at Agulu near Awgbu junction. The former governor of Anambra State, Mr Peter Obi, yesterday, said he had no personal issue with Governor Willie Obiano but had to lead the campaign against his reelection to fulfil the promise he made to the people of the state when he asked them to vote for him (Obiano) in 2013. 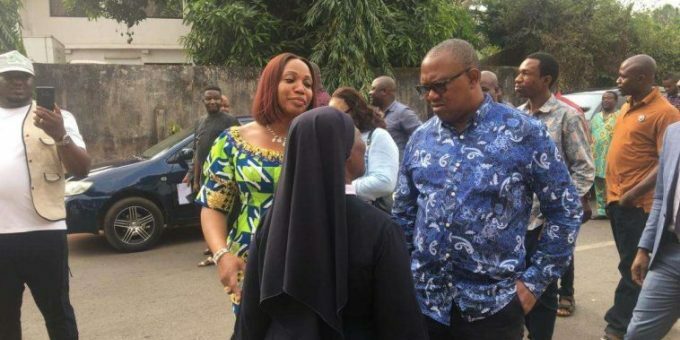 Addressing Peoples Democratic Party (PDP) women at the State party secretariat Udoka Housing Estate Awka, when the Deputy Governorship candidate, Lady Chidi Alexsandra Onyemelukwe was presented to the women, Obi said the issue he has with Obiano was because of the governor’s “non-performance”. Obi said he promised the people that he would lead the campaign against Obiano if he fails to work and regretted that the governor has nothing to show for his four years in office. 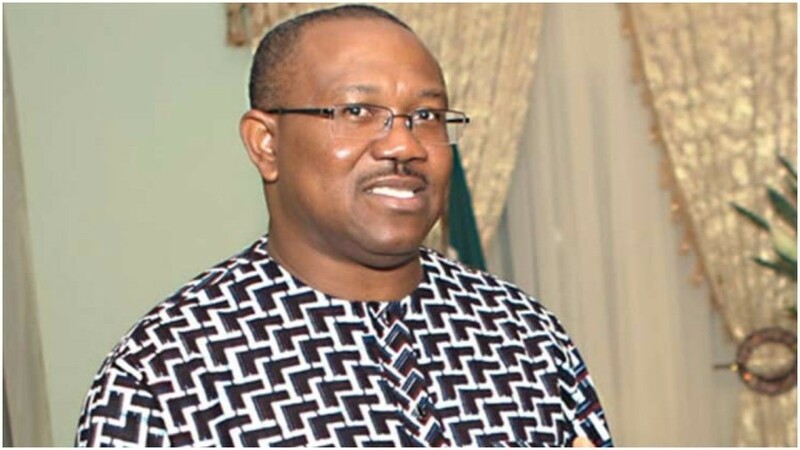 He reeled out a number of road projects done by his predecessor, Sen. Chris Ngige in three years and under serious tribulation and the ones he (Obi) did and asked the people to ask Obinao to point to what he had done with all the money he left for him and the one that had come to him, including the 156 million dollars and N25 billion cash in the state account when he handed over to him. He said, “I governed this state for eight years, I can tell you that there is no candidate in this present election that can work better than our (PDP) candidate, Obaze. Some people wrote that Peter Obi and Obiano are quarrelling. I don’t have any issue with Mr Willie Obiano, but I have issues with Governor Obiano. We are not quarrelling, Obiano is still my friend. “Go and ask anyone that told you that I am demanding money from Obiano or everybody, I am enjoying my marriage with my wife but that notwithstanding can I keep N70 billion with her and be demanding N7 billion, I will take the much I need and tell her my darling to keep this in case you change tomorrow. “So I am not demanding any money from him, the issue I have with Obiano is very simple, When I took Obiano round Anambra State for campaign, wherever we went to, the markets and so on, the people kept asking me ‘Peter are sure this man would do well,’ and I said ‘yes.’ They asked ‘if he fails to do well what will happen? “I told them ‘I would be the one to lead a campaign against Obiano if he does not perform well in his first term.’ Today, can anyone show me what the governor has done within his first term? He has nothing to show for it. I am a businessman; you don’t introduce a product twice in the market. “When I was campaigning for my second term, each community I went to, I usually showed them what I had achieved, and that made it possible for the people to vote for me because they have seen what I did. Obi, therefore, charged the party women to work hard for the enthronement of good leadership, saying that PDP has selected a credible candidate in Oseloka Obaze to succeed Obiano. 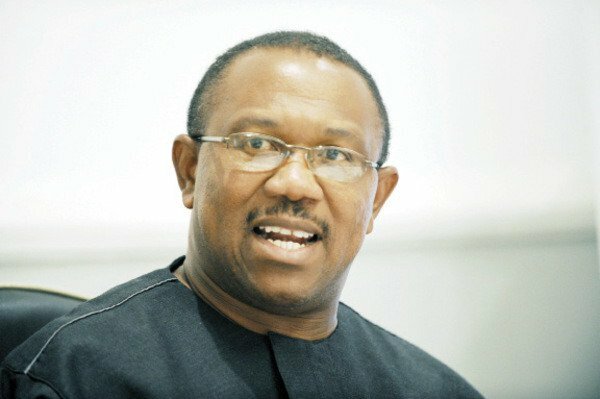 A former governor of Anambra State, Mr Peter Obi, has identified poverty and hunger as main causes of agitations by ethnic groups in Nigeria. Obi said this in Calabar during the 7th lecture organised by the Bridge Leadership Foundation, a non-profit organisation founded by a former governor of Cross River State, Senator Liyel Imoke. The foundation was established in 2011 by Imoke to inculcate entrepreneurial skills in young citizens. Obi, who spoke on the topic, ‘Leadership and Integrity,’ said that some of the agitations across the country had gone beyond control because Nigeria lacked visionary leaders. Obi said, “Nigeria has the resources and potentials of becoming the greatest country in the world; but, the country lacks visionary leaders. He commended Imoke for sustaining the foundation for seven years, adding that capacity building for youths was one of the ways of curbing youth unemployment in the country. Earlier, Imoke said the objective of the foundation was to groom and encourage youths to take the leadership role and have the basic knowledge of becoming entrepreneurs.